Three days after the launch of Punjab government’s much awaited farm loan waiver scheme, Punjab Chief Minister (CM) Amarinder Singh on Wednesday cleared 1.15 lakh more cases for debt waiver amounting to Rs 580 Crore, to be disbursed to farmers across the state before January 31. Earlier on Sunday, the CM had launched the waiver scheme with nearly 47,000 farmers in five districts receiving first installment of the debt relief scheme. The announcement came on Wednesday after a high-level meeting chaired by the CM, which reviewed the progress of the implementation of the farm debt waiver scheme, formally launched by the state government on January 7 with the disbursement of waiver certificates to nearly 47000 farmers from five districts. With the completion of disbursement of waiver certificates to these 1.15 lakh farmers, the state government would have covered 1.6 lakh small and marginal farmers with a loan amount of Rs 748 Crore. In the first phase, the government is waiving off loans taken from cooperative institutions, for which a total of 5.63 lakh have been identified for relief to the tune of Rs 2700 Crore. The entire process would be completed in four phases, with commercial private and nationalized banks to be covered after the cooperative loans. Giving details, an official spokesperson said after today’s meeting that the modalities of the disbursement were being worked out. The meeting was in favour of public presentation of the certificates so that the farmers are not misled on any count by the Opposition or certain farmer unions seeking to promote their vested interests through false propaganda. 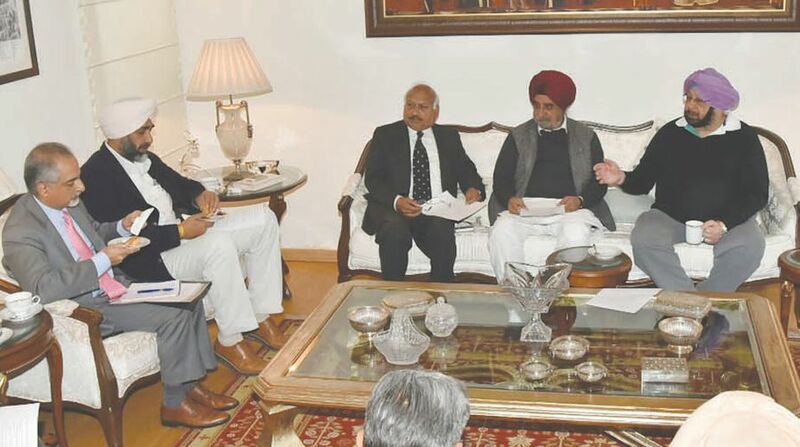 The CM, said the spokesperson, had directed the concerned officials to ensure that the disbursement process is handled smoothly and no eligible farmer is left out. Amarinder had also instructed the officials to ensure rectification of any technical errors, such as names being misspelt, and plug any loopholes that might obstruct the efficient implementation of the scheme at any stage. The CM said no lapses in this regard would be tolerated. He directed senior officials to personally monitor and supervise the entire process, said the spokesperson. The government was committed to implementing the scheme in letter and in spirit, he added. Amarinder has already said that the interests of the farm labourers would also be taken care of once the state’s fiscal condition stabilises.